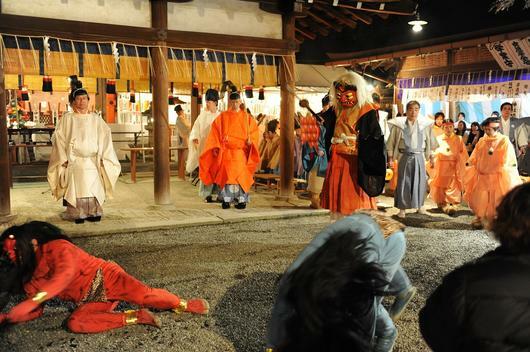 On February 3rd, there is “Setsubun Festival” in Yoshida Shrine. On the day of Setsubun, there is the custom of throwing roasted soybeans while chanting “In with Fortune! Out with Evil”. It is believed that the ogres are warded off by throwing beans, and that good fortune will then come to one’s home. You are able to see the scene that Japanese exorcist drive away the ogres and more than 800 stalls. You must enjoy this Japanese cultural event!